Fly fishing for bass is seasonal for me. As a fly angler who lives near some of the best trout rivers in California I can target trout all year around; therefore a bass on a fly is something special that only comes once a year in the spring and summer. Spring is finally here and I can now begin to successfully chase America's favorite gamefish, the largemouth bass. High and muddy rivers have shifted my attention to my favorite place, Ellis Lake. This lake is where I first began fishing when I was a youngin. Bluegills that ate worms, hotdogs, and bread were always the catch of the day. It is great to see a new generation of kiddos out there doing the same thing I was doing when I was a kid. Good stuff. The fish in the lake are beginning to wake up. 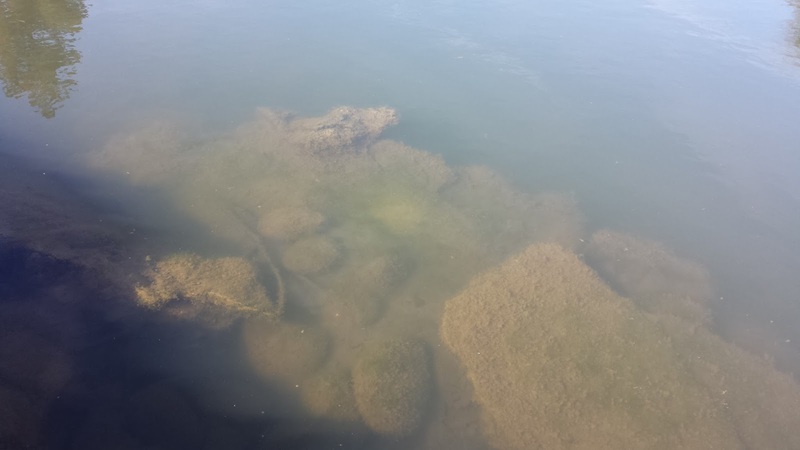 A few largemouth are in spawning mode which can be anything from cruising around, bedding, or sunbathing. Most of the fish are still in sunbathing mode where they will spook instantly as soon as they see you. I've been able to find a few fish that are willing to play during each one of my outings. 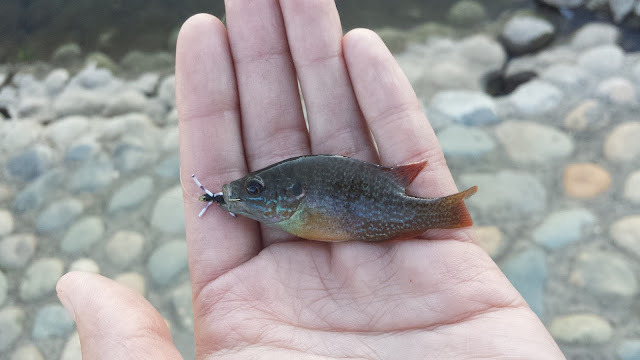 Flies seem to be the best way to catch these fish. After I hooked and landed my second bass of the day, a kid that was fishing for bluegills a few steps away came up to me and asked how I was able to catch two bass within minutes apart. Just a few moments ago he was skeptical of my fly rod and told me in an unsure matter, "I don't think the fish out here eat flies." I quickly changed his mind. Afterwards I told him that these fish like the way a fly slowly sinks, especially when presented right in front of their faces. Anything that sinks too fast won't garner the attention of these bass. I don't think he was paying attention. In one ear out the other. Catching blues and greens like I did years ago when I was a kid is still fun. Why is that? Well, it's because I'm getting them on top with a dry that looks like an ant. Nothing like fighting a 3'' fish on a fly rod. 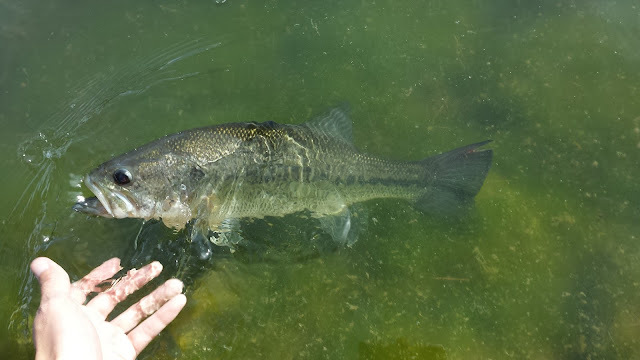 I'm still trying to figure out how to catch largemouth bass more consistently on a fly. Reading and fishing a lake or pond isn't nearly as easy as reading a river. A bass on a fly is something unique and different. Here's a cool video from the local InformativeFisherman on Spring Bass Fishing. I'm in the same boat as you. Just waking up, have even got a few on top already. Problem is, we just got 8" of snow this morning. Probably back to square one. Dang, that's a lot of snow. That will definitely put a damper on your bass excursions. The good thing about the snow though is that once it clears out the fishing will be better than if there wasn't any snow. It's nice fishing lures. If you want to catch big fish you should take soft & smoothly fishing lures. Thanks for sharing this post.